On Saturday 19th May HRGM took part at the first multi-period event held in Gozo and which was organised by the Ministry for Gozo. Six re-enactment societies took part and represented a time-span ranging from Medieval to WW2. 17 HRGM members took part – 15 in Napoleonic outfits and 2 in medieval clothing (and were attached to another re-enactment group). The main posed picture features a number of men representing different military units of 1798 – artillery (light blue coat, light infantry (green coat), line infantry (white coat with red facings), and civil militia (irregularly dressed). More pictures on the HRGM FB page. 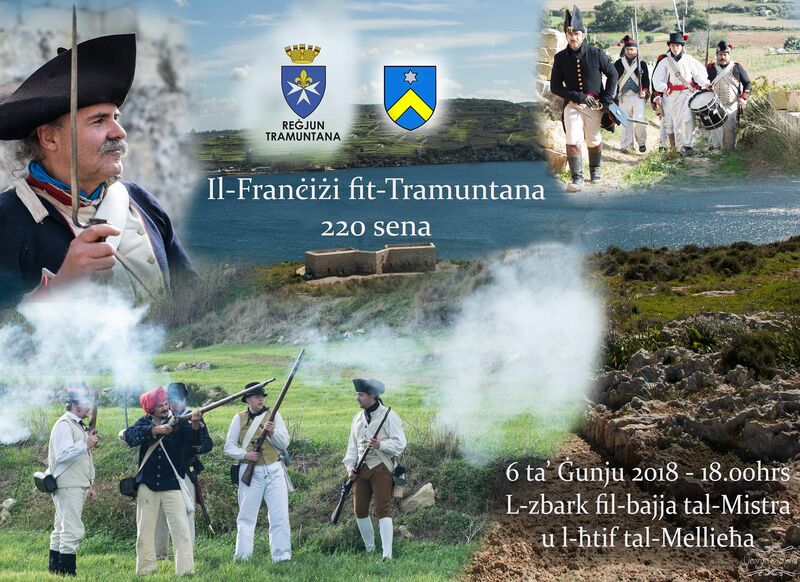 Reġjun Tramuntana proudly presents the 1st Regjun Tramuntana Military History Festival focusing on the 220th Anniversary form the French landing in Malta. The landing took place in Mellieha. over 500 re-enectors from HRGM will be taking part. Three events are being organised on Tuesday 5th (Mosta-Għargur-Naxxar), Wednesday 6th (Mista-Mellieħa) and Friday 8th June 2018 (Mtarfa-Rabat-Mdina from 1800 hrs). 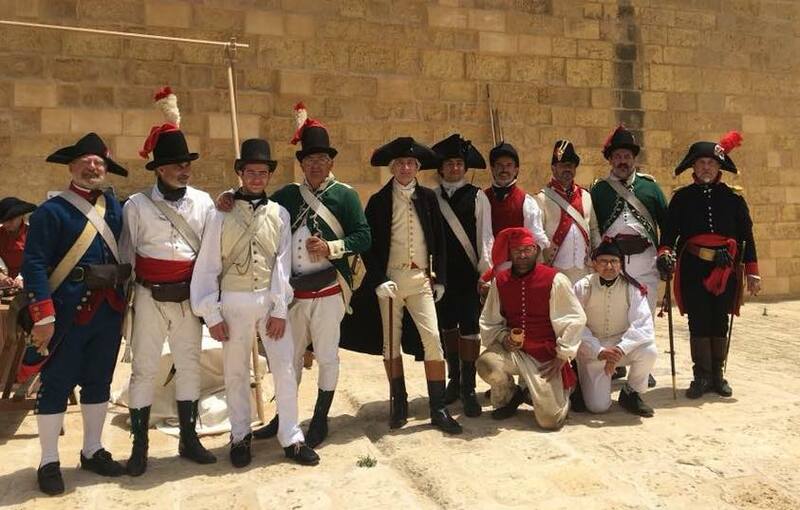 On the 5th of June the troops will be marching through the old village roads – and finally meeting in front of Naxxar’s Parish Church where a typical celebratory night will take place with troops, villagers, food and wine and merriment. On the 6th of June the French Troops landing in the quaint Bay of Mistra, where some skirmishes with the Maltese Militia will take place. once the resistance is overcame, the troops will march to Selmun and eventually on to the village of Mellieha. 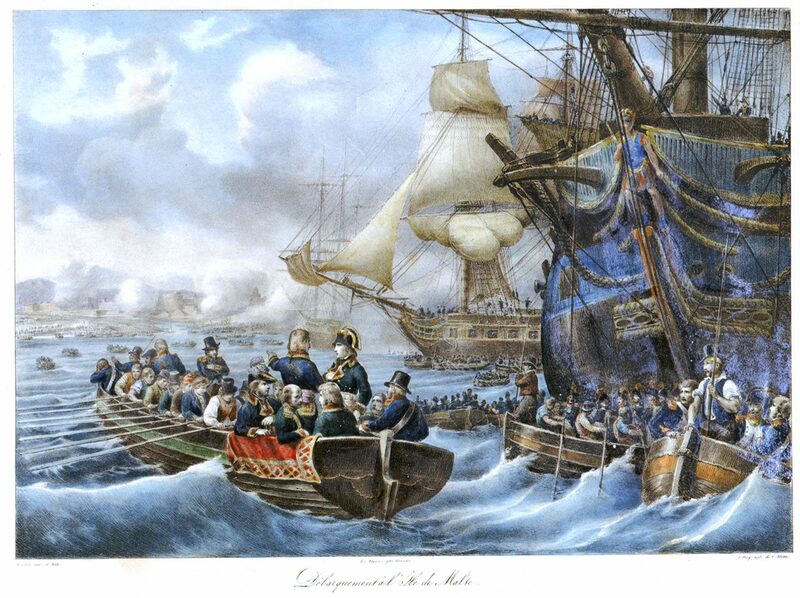 Maltese will ty to stop the invasion along the route, but fall to superior, more experienced, battle hardened troops. 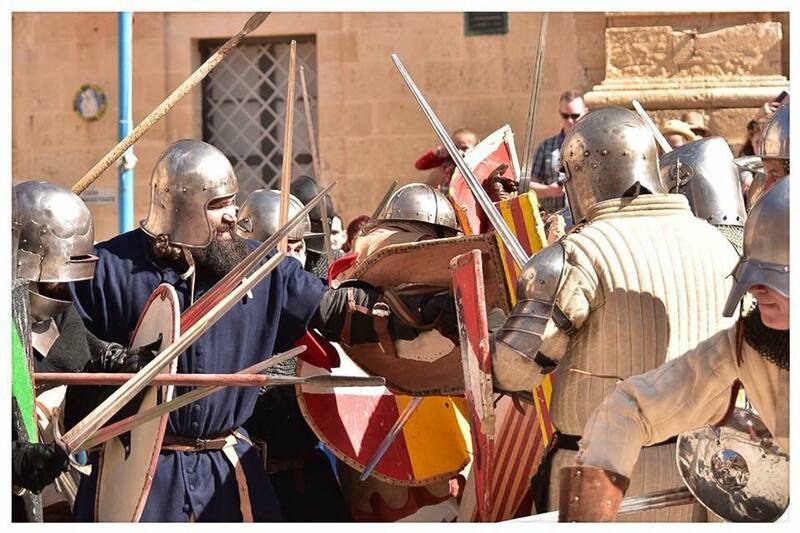 The troops finally reach Mellieħa’s Parish Square where they plan to pass the evening, eating, dancing and celebrating. Finally on the 8th of June the troops will be starting their march from Chadwick Lakes on to Mtarfa where they will face some pockets of Maltese Militia. Once these are overcome, the French proceed to Rabat and eventually take Mdina. 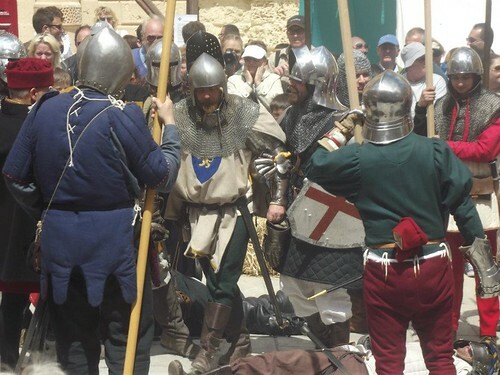 The victorious troops will end up celebrating outside of Mdina, eating , dancing, singing and drinking.